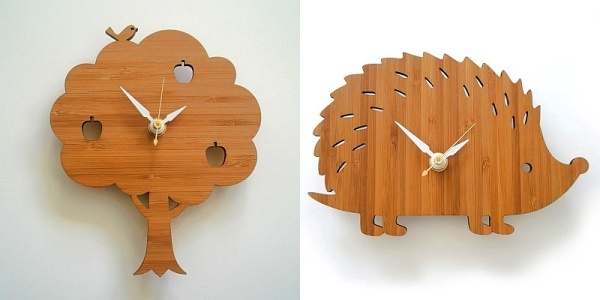 These gorgeous laser-cut and eco-friendly bamboo clocks will complement any contemporary nursery. They now join the flood of goodies previously only available from overseas sites on a journey to Australia to grace our children’s rooms! We’ve featured them before, in October 2009 and now they’re available locally from Hunt and Gather. 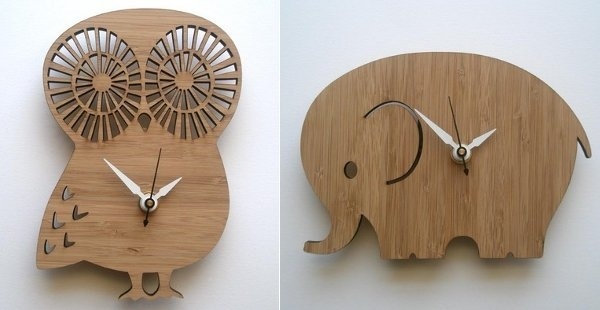 There are eight beautiful designs – rabbit (available soon), elephant, squirrel, tree, hedgehog, owl and birds – and prices range from $59 to $79 a piece. It’s worth mentioning that each clock features a silent mechanism, so they’re perfect for maintaining a peaceful nursery.